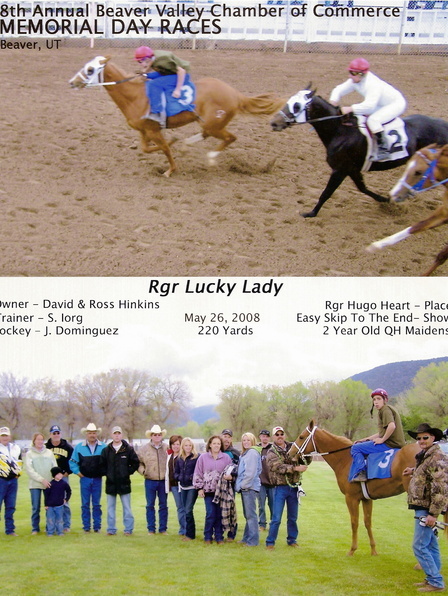 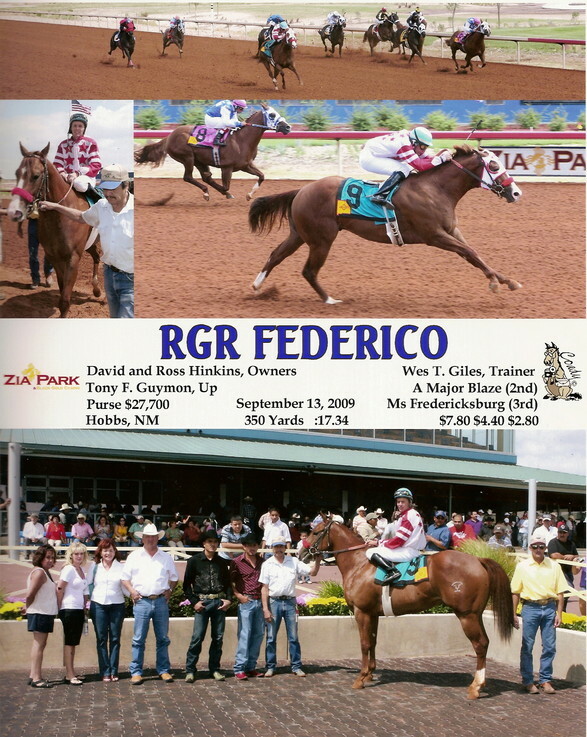 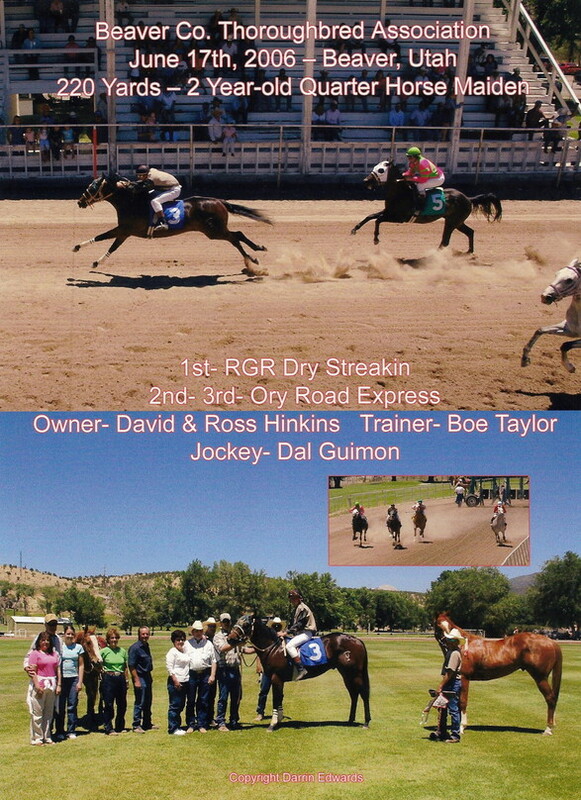 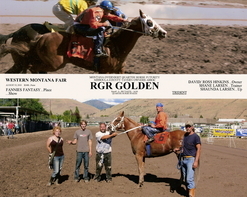 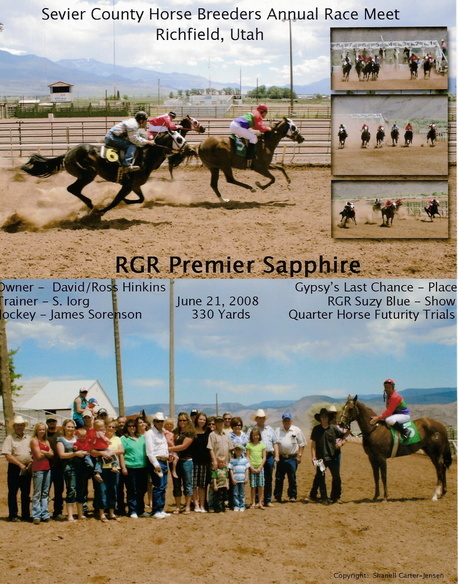 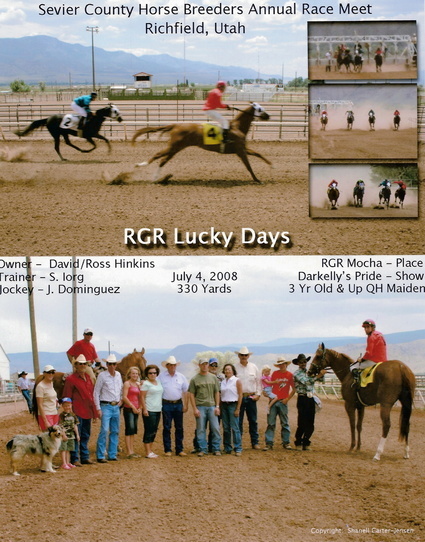 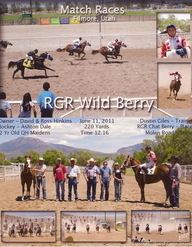 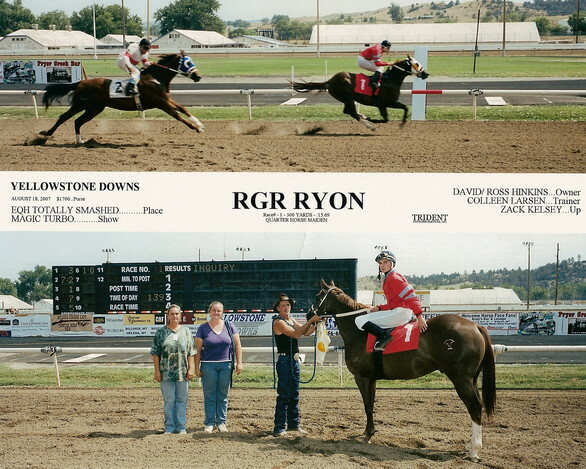 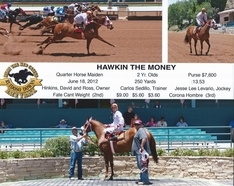 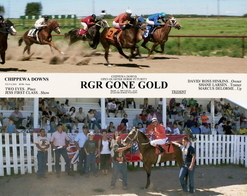 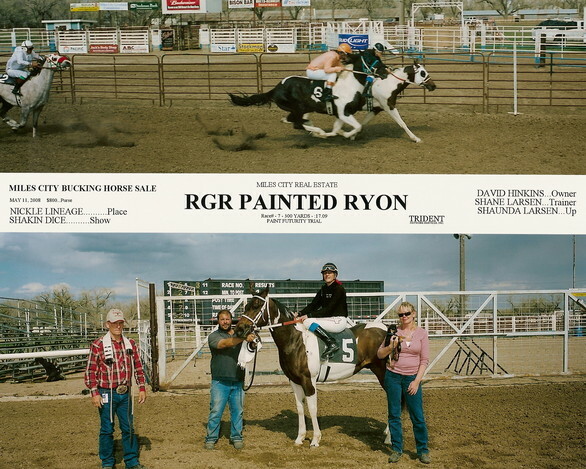 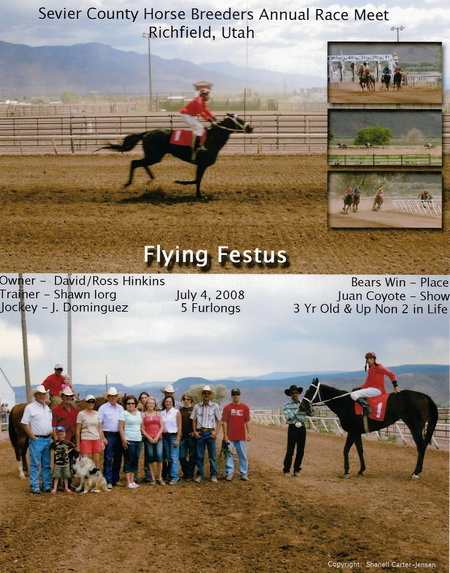 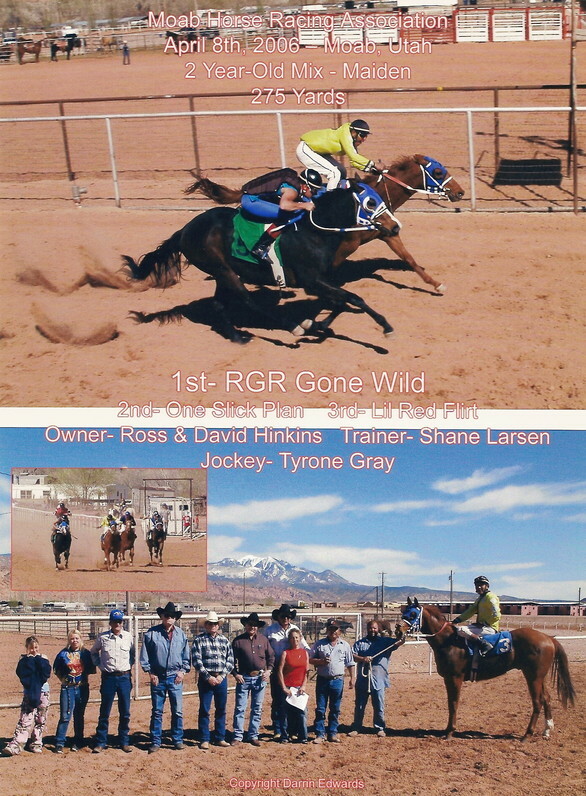 RGR Ryon- is shown heeling on the Team Roping Horses page. 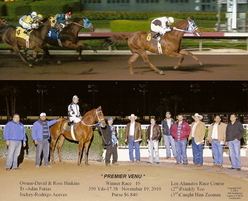 Premier Venu- First Down Dash x Streakin Cara. 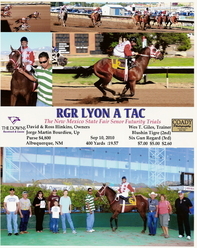 SI 98 LTE of $96,175. 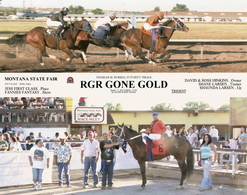 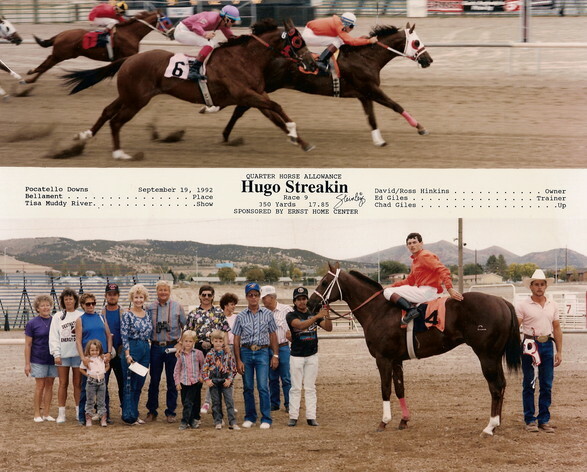 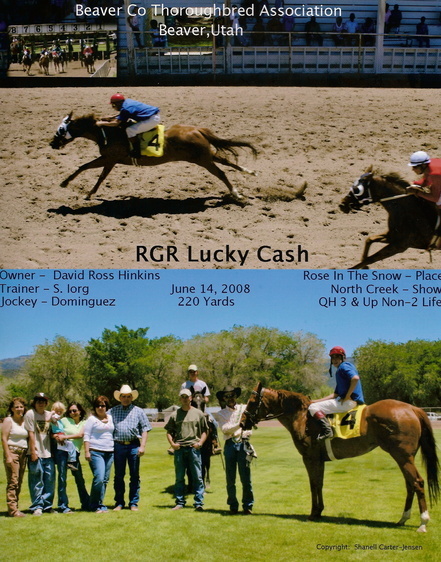 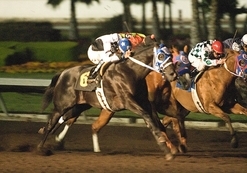 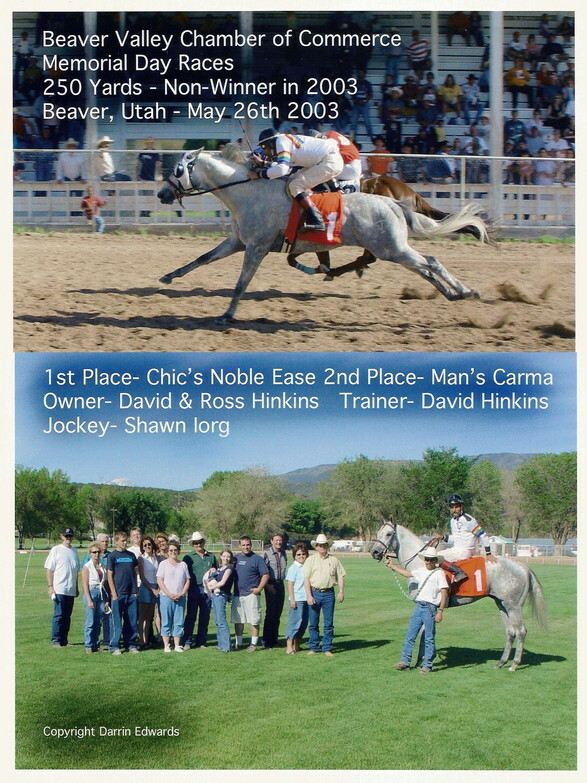 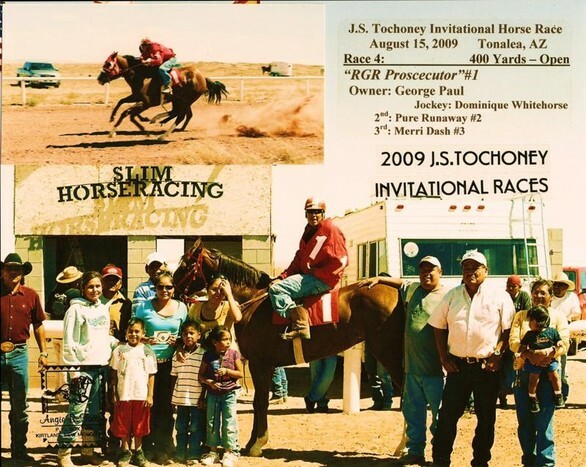 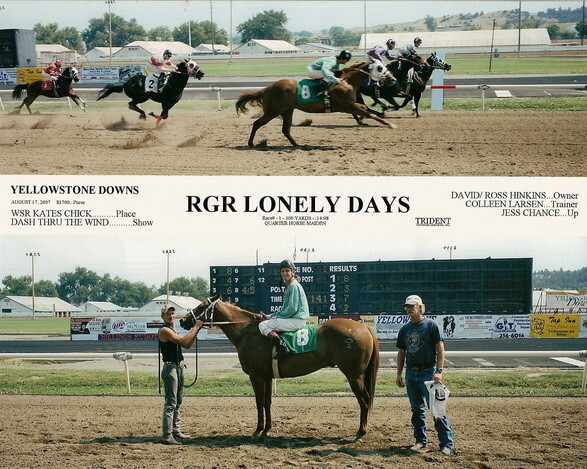 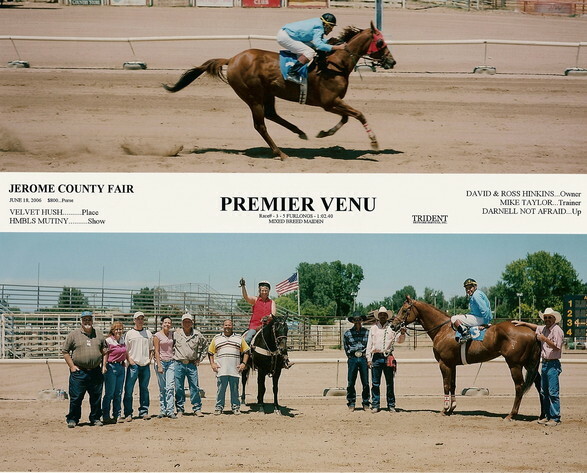 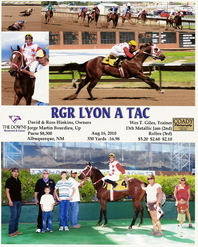 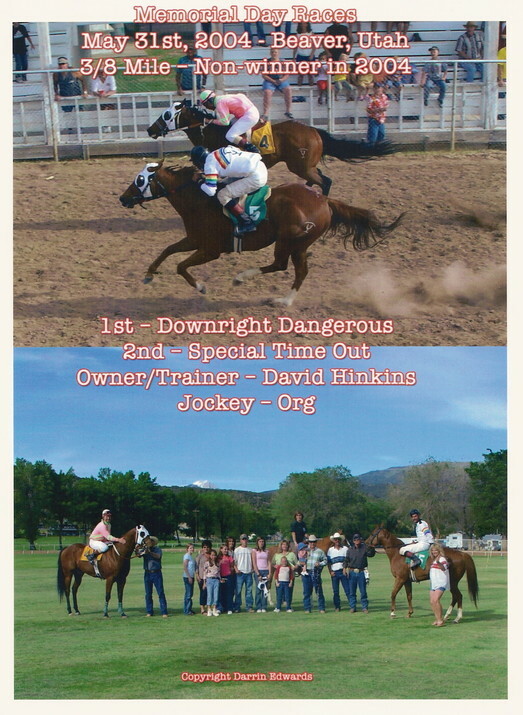 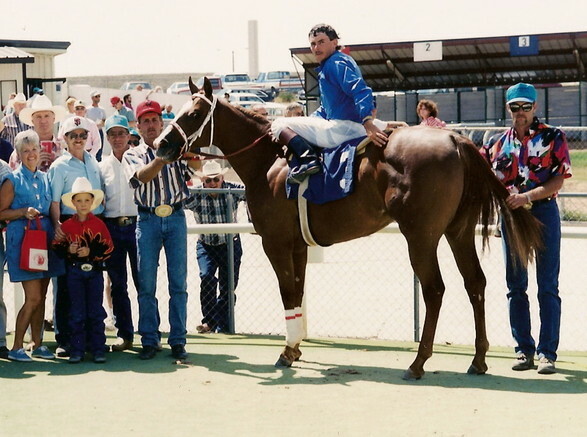 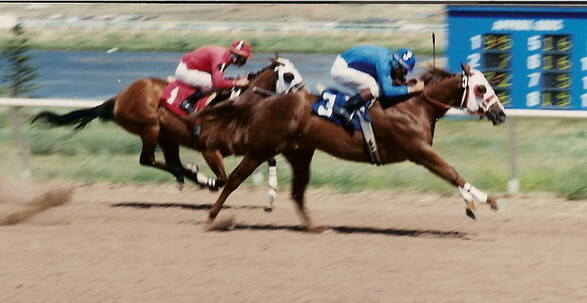 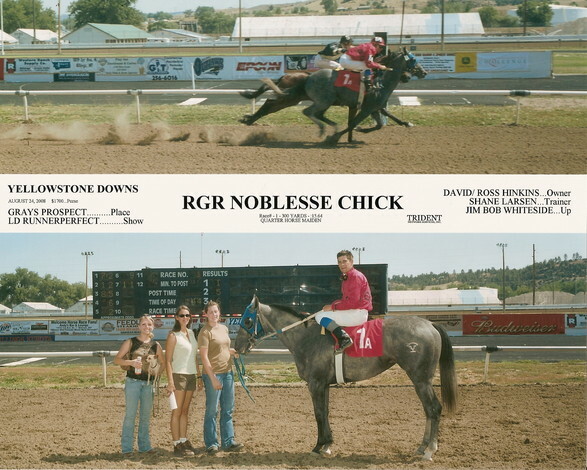 Premier Venu Stood as a Stallion on the Rainbow Glass Ranch for several years, until his breeding career came to an end. 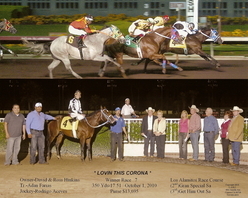 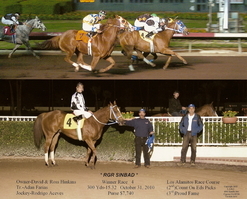 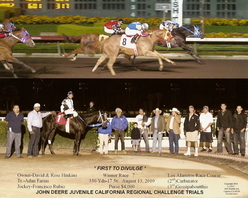 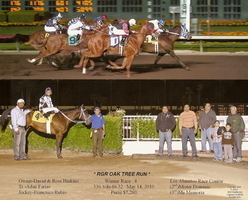 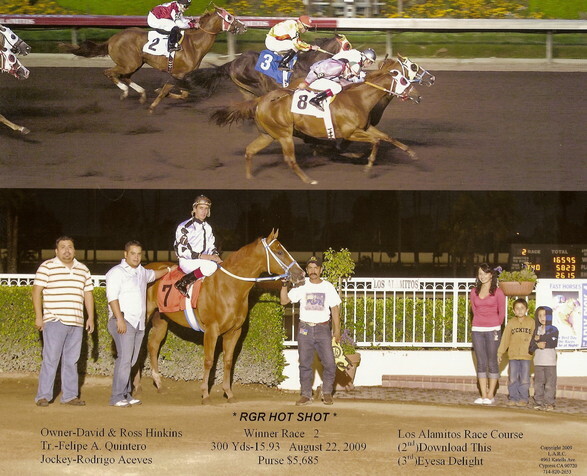 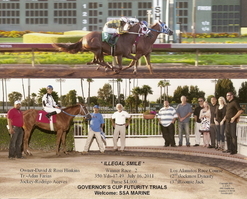 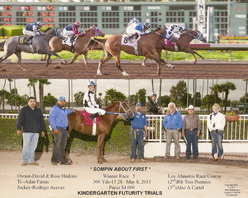 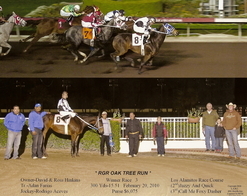 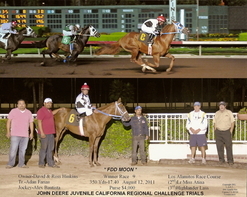 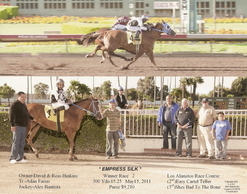 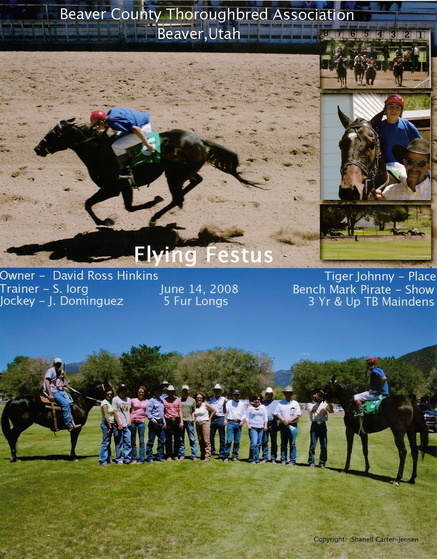 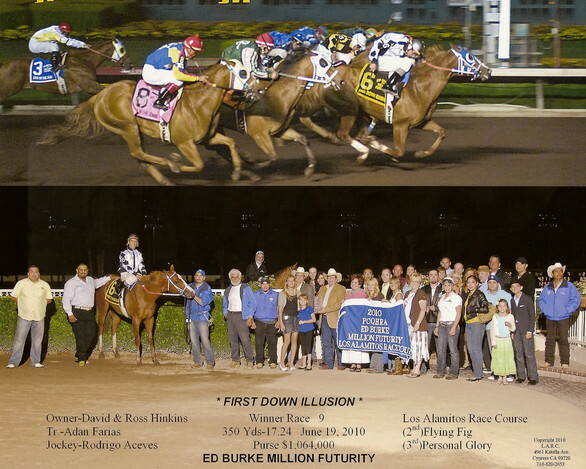 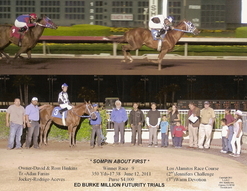 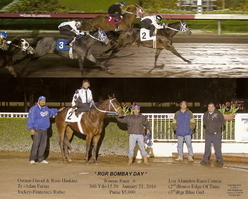 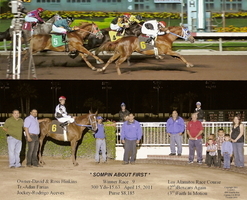 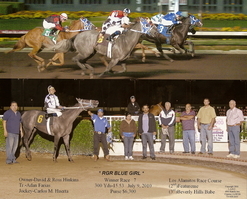 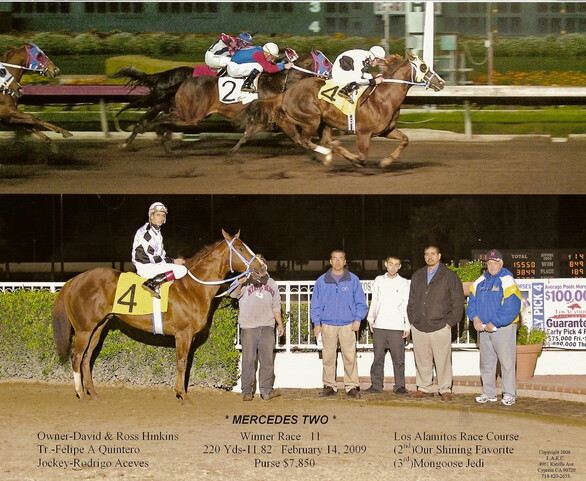 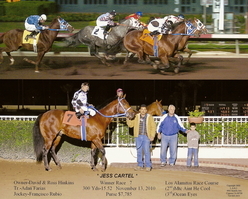 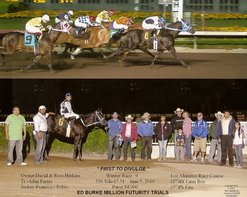 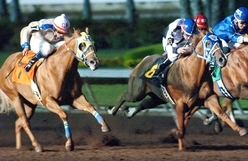 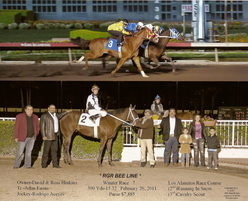 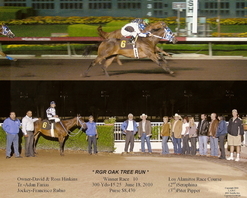 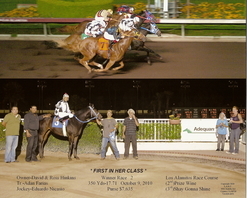 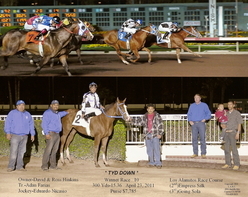 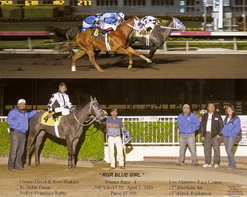 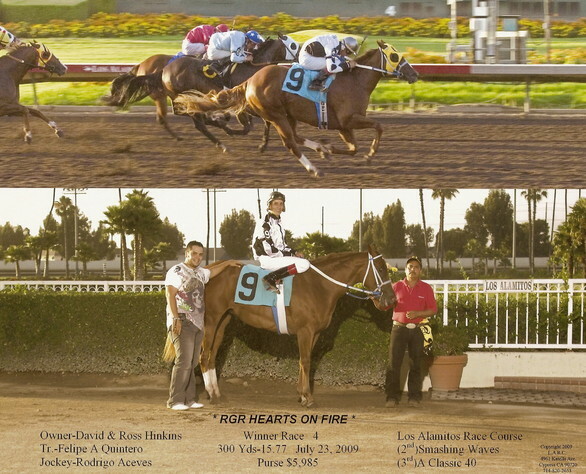 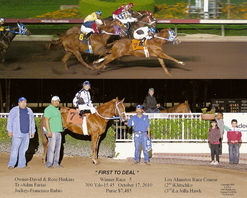 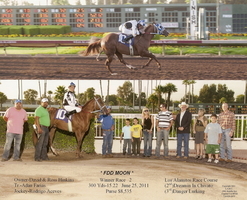 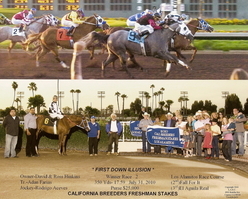 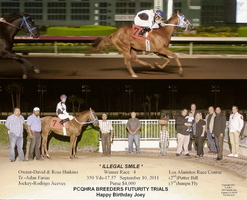 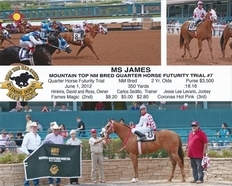 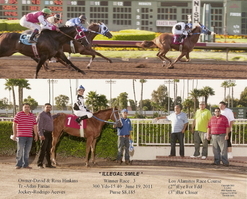 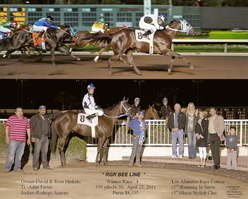 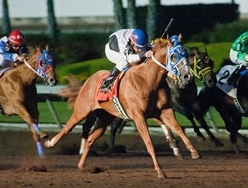 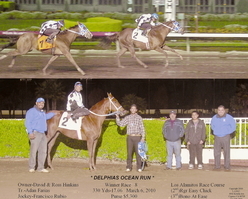 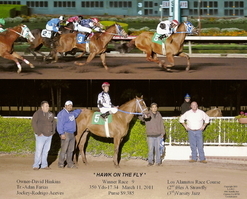 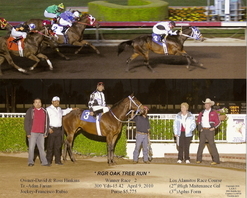 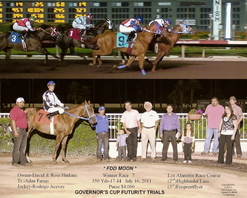 Now he runs in Los Alamitos under the training of Adan Farias.